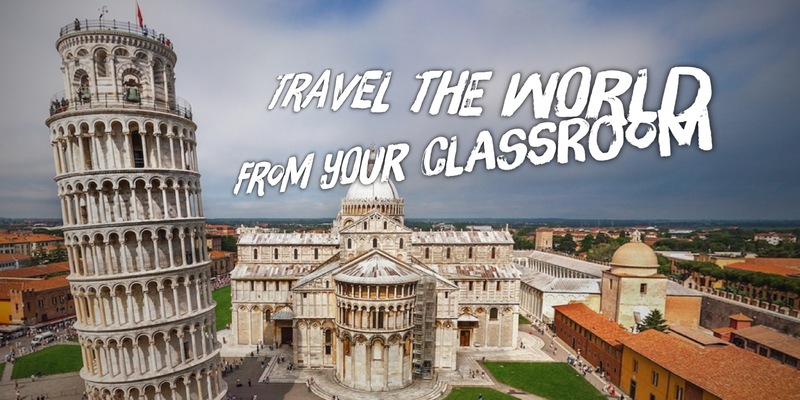 Ever wanted to travel the world from your classroom? Perhaps to showcase a city or mountain range or historical monument or a location from the ancient world? 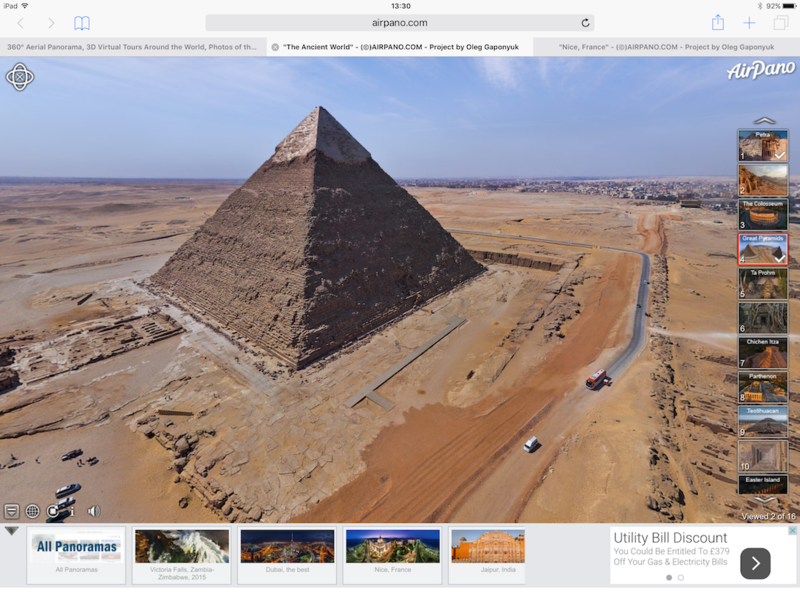 The free website airpano.com contains hundreds of beautiful 3 dimensional virtual tours of beautiful locations all over the world which can make this possible. See how you can really bring these visits to life whilst using your mobile device by watching the short video below. It is super simple. 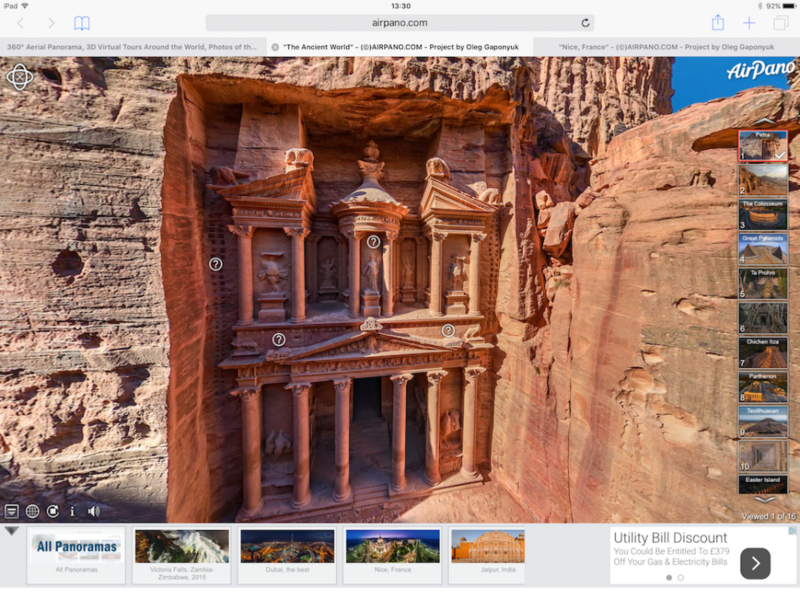 The website interacts with your tablet and the gyroscope built in to your tablet to enable you to move around and visit these places, virtually. As you pan your device around, so the image moves with you, in stunning high definition. As an alternative, there is an AirPano app available both for Android and iOS which you can download from the respective App stores. “AirPano VR is a collection of unique spherical panoramas and videos of the most amazing places in the world with a bird’s eye view. AirPano takes you on an exciting journey with a real-life presence at the location. So get the virtual tickets and pick the place to travel! @ICTEvangelist wow that's cool get some great narrative and language going with this. Thanks for sharing. Had on touch screen board when children arrived at school today. Fantastic response as they set off exploring the world. Lots of questions being asked. Paul, that is great to read – thanks for sharing back!